Ahoy, me mateys! Upset your Mom swam away after you were born? Cry me an ocean. You’ve got ME to show you the ropes! Well, at least until I get a craving for baby shark. Swim along and I’ll teach you how to hunt using all six senses (a whole sense more than a human), why you can NEVER stop moving (blimey, no - not even to sleep! ), and what your most dangerous threat is (here’s a hint: those sneaky landlubbers don’t even live in our waters!). 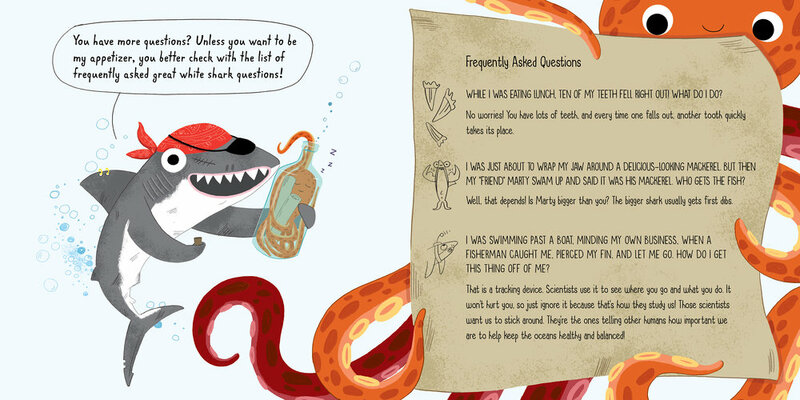 Aye, me hearties, learning How to Survive as a Shark is not as easy as it sounds! How to Survive as a Shark provides a unique take on fish science that will entertain and educate in and out of the classroom. 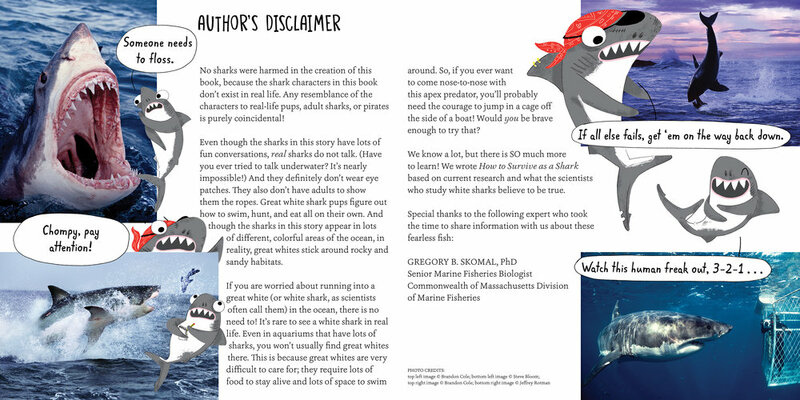 Full of opportunities for extended learning, this book includes fun facts hidden throughout the hilarious illustrated story – and after, a glossary of important terms and some real shark photos. If you’ve ever wondered how to think and swim like a shark — and you like to laugh while you learn — this book is for you!